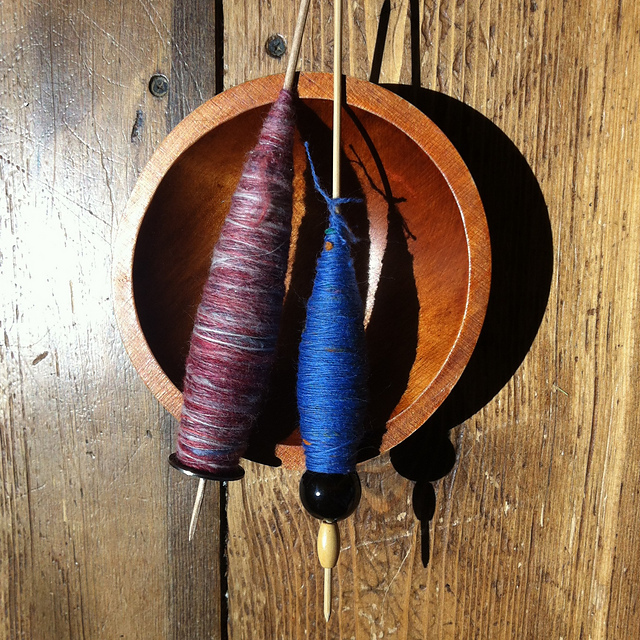 Today is officially a rest day for the Tour de Fleece, so I’m taking a break from gray alpaca (beautiful though it is, it is a … lot … of … gray) and spinning something colourful. I had worked on some pretty pink sparkly fibre on the last rest day, and finished up the spindle the other night when all my other spindles were full of alpaca and I didn’t feel like winding off. Today I decided to find something to ply that pink with and do some plying. Now, I’m not much of a “princess pink” kind of girl – though I have lately decided that shocking pink and purple (together, ideally) are fun – so it needed something bright to jazz it up a little and keep it well out of the range of pastels. it’s not really obvious from the photo, but at a distance, it does look like lavender. 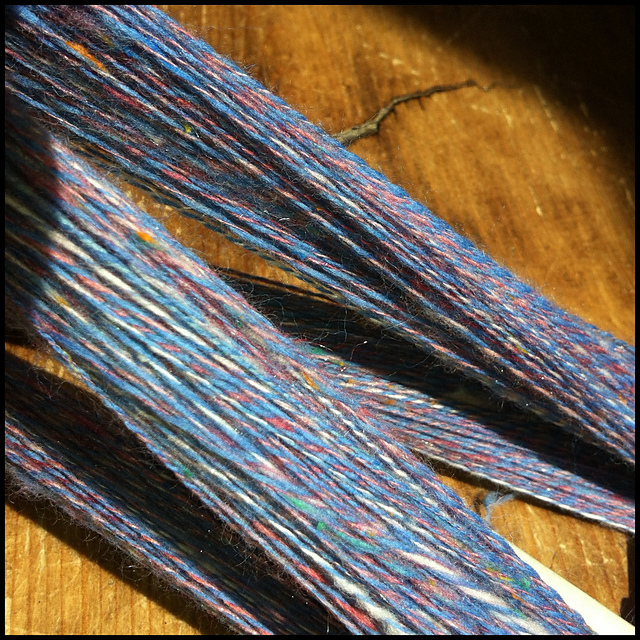 230 metres of fine yarn – maybe sock yarn, or a bit lighter. Wonder what it wants to be? It wants to be worn and loved for sure! I'll be watching to see what this lovely yarn becomes!